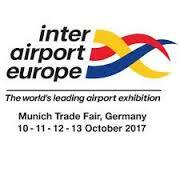 Impleo Solutions is van 10 tot 13 oktober a.s. aanwezig op de Interairport Europe 2017 München. Wij staan hier samen met onze Airfield partner TKH Airfield Solutions en tonen Airfield Ground Lighting systemen uitgerust met het door ons ontwikkelde CEDD connectivity systeem. Wij nodigen U en uw collega’s graag uit voor een bezoek aan onze stand. From 10 – 13 October 2017, inter airport Europe 2017, the 21st International Exhibition for Airport Equipment, Technology, Design and Services will take place at the Munich Trade Fair Centre in Germany. Renowned as the leading one stop shop event for the entire airport industry, inter airport Europe is the first choice for airport operators when it comes to sourcing the latest airport equipment, technology and services for ground handling, terminal operations, airport IT and airport design. With its international audience of industry professionals from airports, airlines, air cargo carriers and aviation support the exhibition offers suppliers to the airport sector a unique marketing platform.The last inter airport Europe in 2015, the 20th anniversary edition, was a great success. With a total of 676 exhibitors from 44 countries and a net floor space of 29,870 m², inter airport Europe 2015 could further increase its exhibitor numbers and floor space by 5.5% each compared with the previous event. During the four exhibition days, a total of 12,705 trade visitors from 110 countries came to the Munich Trade Fair Centre to discover the latest trends in the airport industry and specify innovative equipment and systems.